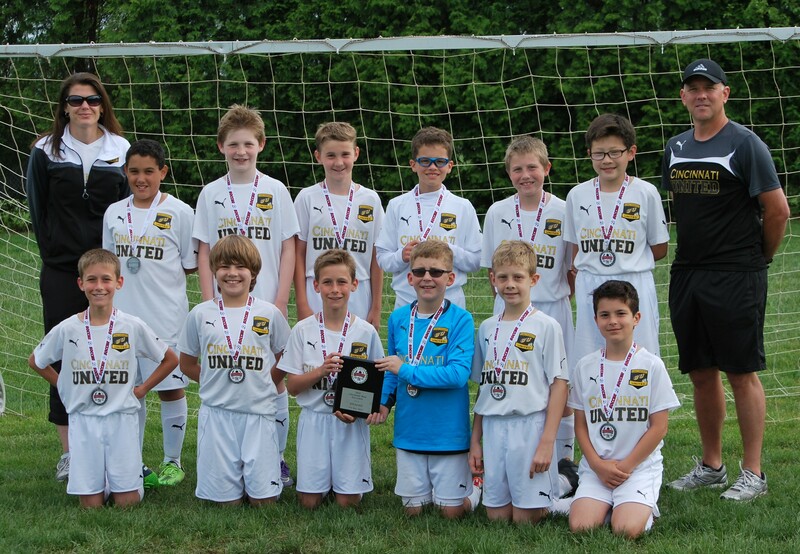 The CU Sycamore- Mason U11 Revolution team finished as finalists of the Silver division of the Cincinnati West Soccer Fest (5/7- 5/8). After a group play loss, the boys put forth a fantastic effort to make it to the finals. In the finals, they took BSA Celtics U11 Blue team to overtime. Congratulations to the boys, trainer Tim Brown, head coach Jayme Cochran, and assistant coach Pat Smith!